Politicians in the United States have been attempting to add tears and remorse to the equation, though these dry quickly. Rep. Eric Swalwell Jr. from California suggested that the explanations were needless. “If someone was killed in your home, while you were in it, and 15 days later you’re still coming up with an explanation… forget it. We already know.” US Rep. Paul Ryan and Senator Orrin Hatch are chewing over the prospect that Khashoggi’s fate might have been occasioned by an “interrogation gone wrong”. Jamal Khashoggi seems to be a victim of an international gang-warfare. With his dubious reputation in various roles – as the Saudi royal family’s messenger to Osama bin Laden, to persuade him to return to the royal fold; as an intelligence agent collaborating with the US ; as an ambitious politician challenging his rivals in the Islamic radical movement ; as a journalist having in possession detailed information of the various shady deals carried out by members of the Saudi ruling family – Khashoggi had acquired too many enemies. 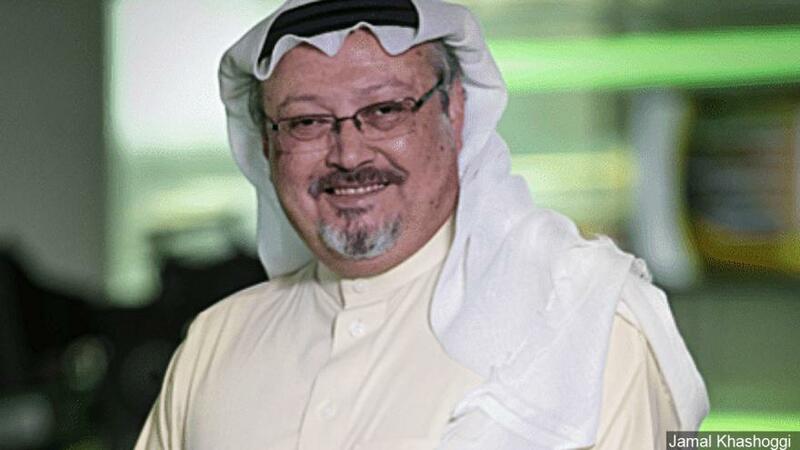 As he had enough factual material to blackmail these powers, he was feared as a threat by the various partners of the ruling gang of politicians who rule Saudi Arabia, Turkey, US, as well as other extra-state interests. There are a lot of suspects – who might have collaborated in this ghoulish act.